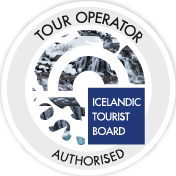 A great South coast and Ice cave day tour where you will explore the more quieter and authentic side of Iceland. Reykjavik. No need to choose between the two. Relax, sit back, and be prepared to be awed by the incredible natural beauty you will see on your tour. This is a once in a lifetime adventure that you can only experience in this tour. This is the only tour that combines a South Coast tour with a visit to a natural ice cave in a single day. The day starts when your guide picks you up from Reykjavík city. Our small group will head south, as you move through the ever changing scenery towards the breathtaking South Coast. Your first stop will be at Hvolsvöllur for some coffee and snacks for the day. The next stop is the town of Vík where you will meet up with your guide for the Ice Cave tour. You’ll climb into a super jeep truck and take an exhilarating ride through the private back road of Vík to reach the glacier area. Your safety is first priority. Visitors should never risk exploring an ice cave without a highly experienced guide, so after fitting you up with the necessary equipment (a helmet, head lamp and some crampons for your shoes), you will be provided with a full safety briefing before making our way to the cave. After a short (10-15 minute) walk across the glacier, we’re ready to enter our ice cave! our way back to Vik. This tour is an off the beaten trek experience that will show you the quieter, authentic side of Iceland. Far away from the crowds and the mainstream tours. The tour is guided by locals of the area. That ensures that you will be guided by someone who knows where all of the best ice caves are hiding! magnificent and picturesque waterfall where you can even walk behind during the summer months. This tour is operated by our friends at Katlatrack. Katlatrack is owned and operated by a born and raised local from the Vík area.